One thing that Americans love almost as much as baseball and apple pie is their pets. If you have a pet of your own, you will know exactly what I mean. How often do we hear of young children wanting a puppy or a kitten for Christmas? While kids may not always have the best or most reasonable wishes when it comes to presents, most parents can get them a small animal. This can also double as a lesson in responsibility by having the child take care of the animal. I know that the rules for my first animal had to do with feeding it and cleaning up after it. I can also tell you that some of my best memories come from my time spent with that first pet. While it is true that I am a bit bias on this subject, I completely understand landlords that do not want to allow pets in their rental property. Pets can be very messy, especially if their owners don't stay on top of making sure everything is cleaned and well maintained. Property owners with carpet also have an extra concern with pet stains and claws that can cause the rug to need replacing, which is an extremely expensive process if done correctly. Animals can tend to smell if they are not taken care of, and this is true whether they are in a cage or if they are given free rein in the apartment. While a responsible pet owner will not allow this to happen, there are far too many people who have pets that are a bit less than fully responsible. At the end of the day, whether or not you allow a pet is up to you as the owner of the property. Some landlords will only allow certain kinds of pets, like fish or lizards. Others will only allow pets that stay strictly indoors, such as anything in a cage or indoor cats. Even still, other people will only allow animals under a certain weight and size in their apartments. The fact is that you have the decision about whether or not you will let your residents get an animal. You may even request a waiting period so that you can see what kind of resident they are before making that decision. As long as you are upfront about the policy you have, everything should work out fine. Most rental properties will either provide or give the information needed for trash pickup and removal from the area. This is something that is heavily necessary as pretty much every human creates some amount of trash. Even things like food packages can pile up after a while and cause quite a stench. If you have ever walked into a house that was left vacant for a while without being cleaned out first or even just caught a whiff of an industrial sized garbage can you will know exactly what we are talking about. One main issue that can be found among many apartment complexes, however, is the fact that not all of them offer recycling as well. Personally, I always check to see if a complex that I am thinking of moving into has recycling. Humans, especially Americans, produce a lot of waste that can be recycled such as glass, cardboard and other forms of paper, and especially plastic. While these things make our lives extremely convenient, they are horrible for the environment. In fact, according to the South Carolina Department of Natural Resources, a plastic bag will take around 450 years to decompose, glass will take at least a million years to fully break down, and Styrofoam never will. When you think about what you throw out in a single week, this fact may become extremely frightening. Thankfully we do have an alternative, however, in recycling companies. Not only is recycling good for the environment, but it also makes up around 3.1 million jobs in the United States! While it may cost you a little more to get a recycling bin in your complex or rental property, when you think about what it provides other people and animals with it really does seem more than worth it to most people. Having a recycling company service your apartment complex really is one of the best things you can do to help your local community. Post a survey for the people who live in your area to see if it would be well received and heavily used if you are currently on the fence about it. Informing your residents about why you are offering a recycling bin as well may help boost those numbers if you really want to help make a difference. 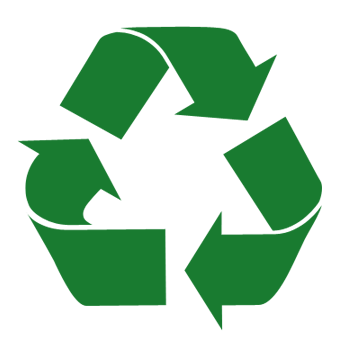 Get some quotes and see what you can do to get a recycling company in today! We often see on listings that a landlord will only sign a lease if it is a year or longer. While there are certain benefits that obviously exist for this setup, sometimes another option is perfectly acceptable to explore. Having a lease that is less than a year, or even simply month to month, may actually work out in your favor depending on the situation you find yourself in with your rental property. Let me show you what I mean. With a month to month lease, you are able to have a bit more flexibility if you are not a fan of who ends up moving into your rental property. While this shouldn't be the main reason for you doing a lease in this way, it is certainly something to think about. The main draw that most people find with a month to month lease is mostly dependent upon the location of the rental property. If you are located in a large vacation area, then having a lease that is only a month at a time will allow you to charge a little bit of a higher rent for those peak months as opposed to one flat rate for the entire year. You can find tourists and others who are looking to take an extended vacation quite easily and they are normally willing to pay a little extra than those who are looking to move in for a full year. Another great thing about having a month to month type lease is that your tenant can let you know ahead of time how long they expect to stay. If their work is bringing them to this area for six months, then you can be sure to keep someone in your space for that time. It gives you a set time frame for when you need to bring someone else in and start showing it to other people. It's also fairly common that someone will look for an apartment for longer stays like this as not many people like to stay in a hotel for that long. If you are debating between having year or longer leases or going month to month, then ask around and see what other people have experienced. Try it for yourself too. You never know what you may find that you like until you try it. 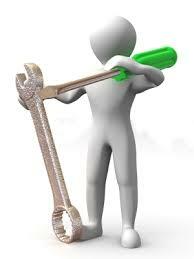 One of the most invaluable services that you can get as a landlord is a good maintenance crew. This is true whether you have a small building of apartments or an entire complex. Having someone to cut the grass, rake the leaves, clean up the common areas, and generally help out around the building is something that can be difficult to find and even more difficult to replace. While you may save some money by doing a lot of it yourself, you will probably spend more when you think about the extra time you need to spend away from family and friends along with the materials you may need to purchase to do an effective job by yourself. One of the best things that you can do in order to get a good maintenance person or crew is to ask around. Other landlords may use a group of people or even a person who is just looking for some extra money who does great work. Getting in contact with some friends that may know someone is one of our favorite places to start. It is always good to be able to speak with someone who has seen the person work as well so you can get truthful answers to any questions you may have. Another thing you should do if you are looking for maintenance help is look around at local companies that specialize in plumbing or electrical work. Most maintenance workers will not have specialties like this and you will need one or both of these categories of work eventually. Making connections early is a great way to have a solid working relationship so it is never too early to ask around. If this seems like too much stress, which we completely understand, then just call Talley. After all, one of the services we offer is 24/7 maintenance care to any residences we work for. All of our workers are pre-screened and have all of the proper certifications and insurance so you can rest assured that the person that is coming into your property knows what they are doing and can do it well. We know how much of a headache getting someone new into your rental property can be, so let us help you out by sending out someone who can make that headache go away. Some things never change. Taxes, rain, bugs, these are just a few things that we will all experience and never be able to truly get away from without some pretty extreme measures. However, one thing that is always changing is the current fashion. It doesn't matter if I'm talking about clothing, car styles, or interior design. Nothing ever seems to stay the same from one year, or sometimes even month, to the next. While some things are relatively easy to keep track of, like clothing, there unfortunately isn't a huge fashion show a few times a year to let us know what style of housing is in. One of the big things now is what's known as an open floor plan. People want their living room, dining room, and often kitchen to flow from one into the other without any real separation between them. This is meant mostly for entertaining purposes when someone has a party so that no one is closed off no matter what they are doing. However, this wasn't always true and is likely to change again at some point relatively soon. 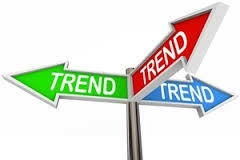 So what can you do as a landlord to make sure that you are on top of these changing housing trends? Home shows are normally a good idea if you have any near you, but unfortunately this isn't always a possibility. One option is to look on interior design websites to see what may be the newest layout or color scheme for homes. Another is to follow certain home construction companies to see what the floor plans they are building look like to make sure that things are how you expected them to be. Naturally you won't always have the option of keeping up with large trends that deal with the layout of an apartment, especially if you are the owner of a downstairs apartment in a complex. Some homes and buildings simply cannot be converted into the newer trends. However, there is always something that you can do to make the place seem updated. Maybe take down some old wallpaper or repaint the place. The possibilities are basically endless when it comes to you doing what you can to make your apartment seem as modern and trendy as possible. 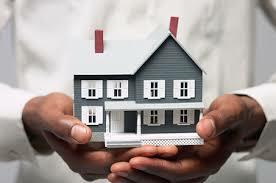 Making sure that you have tenants in your rental properties is the most important thing for a landlord to do. You need to be sure that your investment is turning a profit, especially if you are paying maintenance fees or some other cost from month to month. Here are a couple of things to think about when trying to get someone new into your apartment with little time between tenants. 1. Marketing. How you market your rental space is one of the most important things that you can change in order to get a tenant. Each tenant is different and as such, each one will find your apartment in a different way. If you are looking for a certain type of tenant, it is best to alter how you market the apartment to catch their attention. For example, some people will go through realtors. Others will use free websites or apps on their phones. Each person will also respond differently to certain forms of wording in regards to what you can offer. Think about what you would likely respond best to and pretend you are marketing your apartment to yourself. 2. Policies. 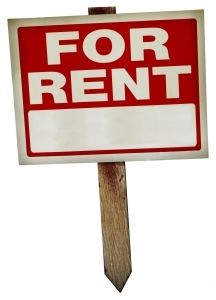 Policies are huge when it comes to renting out an apartment. One of the biggest things to take into consideration is whether or not you will allow pets. 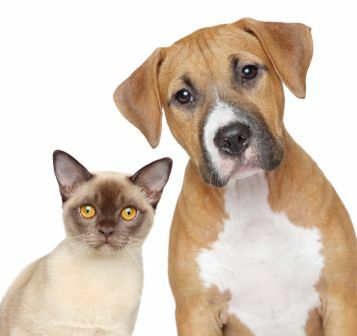 Most people will be willing to pay a little extra if it means they are able to have an animal or bring their current pet with them. Just remember that service animals are quite a different story and there are laws protecting them. Another policy that you may want to give some thought to is smoking. Increasingly, we are seeing landlords who specifically state that they will not rent to smokers due to the damage that smoke can do to the walls of buildings, especially with medical conditions such as allergies and asthma being noticed in increasing numbers. Always be open and up front with your tenants about what your rental policies are. Although these seem like simple things to think of and about, many landlords forget to write certain things out in their summary of an apartment or simply don't think about the difference something as simple as writing on one website instead of another can make. Stay tuned for some more ideas about how to fill your rental vacancies. The main thing that you need to do as a property owner is to get people into your rental space. After all, you probably acquired this extra space as a way to make some extra money. Rental properties are an investment, but without someone actually renting the space it can quickly turn into a money pit. Even if you aren't paying utilities, you still have to worry about taxes and any association fees that may be applicable coming out of your own pocket instead of someone else's. So what can you do? Here are a couple of ways to make sure that people know that you have a space available to rent. 1. Post On Social Media. Social media has really proven to be invaluable in many situations and when it comes to looking for a new tenant for your rental property this fact is no different. In fact, more and more people are looking on social media sites for a new place to live. Whether someone looks on the marketplace that Facebook has added or on Instagram which is a growing trend, social media is a great place to start when it comes to looking for new tenants. After all, you never know which one of your friends may know someone who is in the market. 2. Tell Your Friends and Family. If you are looking for someone to fill a vacancy in your rental property, then one of the best places to start is by asking those you know if they or anyone they know are looking for a new place to live. This is especially true if you have younger family or friends, as many people in the younger generations are more liable to move around for work or school. Asking someone you know or love also means that there is a certain level of prescreening that has already occurred as to the type of person your tenant likely is. These are only a couple of ideas about how to get someone into your rental space, but the good thing about both of them is they are absolutely free. You don't need to worry about paying extra for listings if either of these methods work, which is always a benefit. Stick around and find out a few more ways for you to fill those pesky vacancies. According to the Wall Street Journal, cities are losing their appeal. This isn't because of crime or a "hipster revolution" as some have suggested. Many have been quick to blame the millennials for "ruining" the city's real estate market like so many other things they have been accused of. Based on census data and the Wall Street Journal's research, it simply comes down to one thing. No one has the money to live in a large city anymore. According to the article that was posted on the first of November this year, Americans are leaving more expensive parts of the metropolitan areas at a much higher and quicker rate than they are being replaced. This means that there are more empty apartments in these larger cities and the problem doesn't seem to be solving itself. While this is great news for you if you own property in a smaller area, it's certainly not good the closer you get to a large city. Research states that not everyone is being forced out by their inability to pay the same rent anymore. The problem seems to be that either landlords are raising the rent above what the tenant had been paying or the tenant simply finds a comparable apartment outside of the city limits at a much better price. These are both very valid reasons to move, but that still doesn't help you. If everyone is moving away from where your properties are located, then what are you to do? The first thing you should do is check around to see what others are charging for rent. If you find an apartment that still has people living there, try and find out what they are paying for the property. This will give you a good idea of where to set your rent at to keep people living there while still turning a profit. If you cannot find anyone that is willing to give you that information, your best bet is most likely to lower what you are asking at least a little. It isn't something you may want to do, but a person in the apartment is better than nothing. This trend may very well only last a little while, but in the meantime certainly keep an eye on any reports that may be done on this. It never hurts to know what you should be expecting.